We caught ourselves at the very last second. Our hands reached out to grab a nearby wall. My neighbor and I were on our morning walk. We walk laps around our town for an hour at dawn most days. 5:30 am. It is typically dark or nearly so. Who knew that brick sidewalks could be as treacherous as ice when coated with a layer of fallen leaves? As we started to slip we froze in an effort to stop from falling. For an instant fear consumed us. 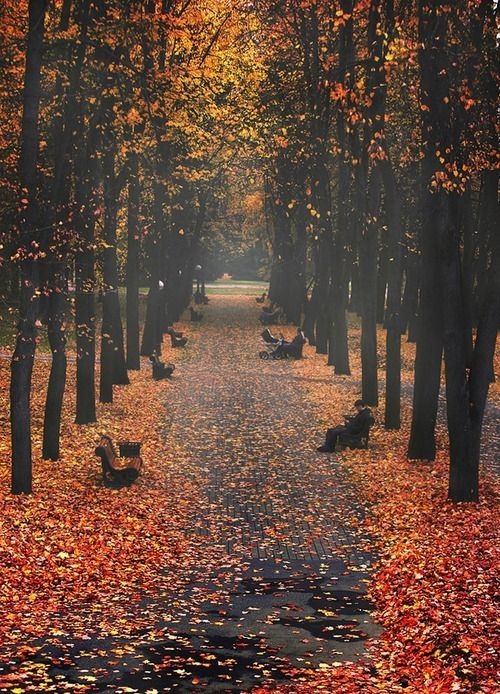 Why is it that fear is so easy to spot at a moment of crisis – like my slippery encounter with leaves – but nearly invisible at other times? Knowledge of transition has helped me understand the fear that enveloped the start of my transition. I now see in my rear view mirror that because of the fear I deferred transition for close to a decade. In my book I call this period my false start. For many years, fear served as a silent blanket that distorted my understanding of what was going on…. In the past week I’ve heard from many women thanks to the publication of Women & Transition. Many wanted to share a reaction to the book or a story about their own transition. The reactions run the gamut from “one of the most moving books that I’ve ever read,” to, “It was ok. Redundant at times.” BTW, this latter comment ironically came from a woman who asked to schedule a meeting so we could talk about her impending transition. As I listen to all these reactions I very often hear a nagging silent question: is transition something for me? Should I start? Could these feelings cloak our real fears related to transition? Fear of starting. Fear of choosing a path that no one else seems to. Fear of the unknown. Fear of disappointing those around us. Fear of falling down. Failing? Knowledge will never allow us to eliminate fear. It can however allow us to see it and, more importantly, to see beyond it. To those moments when you catch a glimpse of that which captivates your soul. May those views be frequent. May you believe that you are capable of whatever you see. And may those views serve as solid footing as you step forward. Thank you to all who supported me over this past week. It was more than I could ever have imagined. Women & Transition is listed as a #1 New Release on Amazon. Add your voice there as a reviewer! I was a Guest Blogger on TheGoToMom: Transition: Unchartered Territory or Power Boost? Macmillan sponsored a Free Book GiveAway: Visit 800ceoreads to get yours. 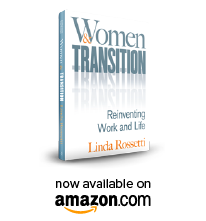 This entry was posted in Observations on Transition and tagged career change, career transition, linda rossetti, observations from a women's transition, personal transition, transition, women and transition, Women and Transition: Reinventing Work and Life, women's transition. Bookmark the permalink.